Make the base: In a medium bowl, cream butter and sugar. Add vanilla extract, flour and condensed milk. Mix until well blended. Use low setting if using a hand mixer. Add chocolate chips and fold them in. Pour in pan and flatten. Make the topping: In a small bowl, add peanut butter and semisweet chocolate chips. Melt in a microwave. Mix well. Spread over cookie dough bar. Refrigerate for 1-2 hours until firm. 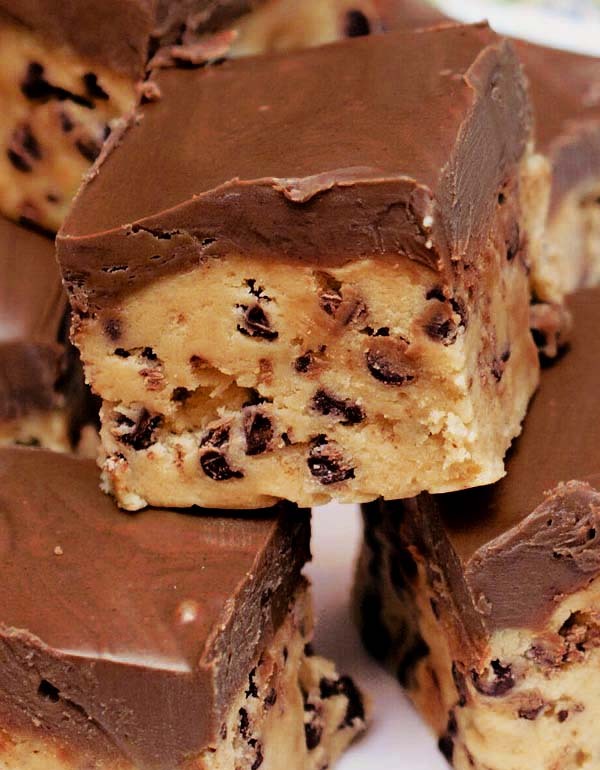 The video below is the source on how to make these scrumptious cookie dough bars. Check it out!